Define assessment criteria for a system of systems consideration of observational capabilities (task 1.1). 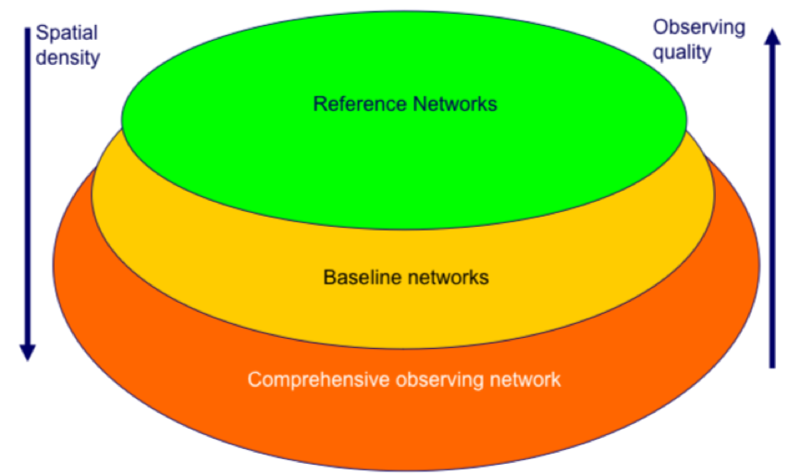 Assess available metadata and assign above criteria to observational networks and their instrumentation (task 1.2). Produce a graphical interface to enable users to investigate observational capabilities (task 1.3). Undertake statistical (task 1.4) and model-based (task 1.5) assessments of geographical gaps and the implications upon our ability to characterise satellite-based measurements. Figure: Posited system of systems approach to observing system maturity arising from Task 1.1.